Today, we’re excited to announce that you can now pay for Uber rides with your debit card, net banking or credit card. Choice is a beautiful thing. The variety of payment options now available in India ensure that you’ll always have both the ride, and the payment option you prefer. Once you link your debit card or bank account via a Paytm wallet to your Uber account, you’ll easily be able to top up your wallet using multiple payment options. Convenient payment options are important to people everywhere. We hope these new choices will enable the lone woman traveler to get around safely, or the college student on a budget to get around cheaper with the fare split option. 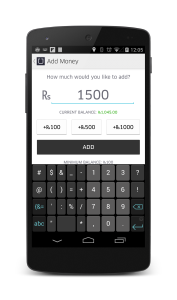 With these new payment choices available immediately to riders across India, we’re making the same Uber convenience and reliability you’ve come to know and love accessible to over 600 million Indians. 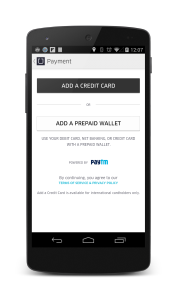 The Paytm wallet option is currently available on Android and iOS. New to Uber? Don’t miss out! Download Uber now. Use promo code “UBERINDIALOVE” and get Rs. 300 off your first Uber ride! Existing users can follow the simple steps below to transition to the new payment option. When you register with Uber, you’ll be prompted to add a payment profile. 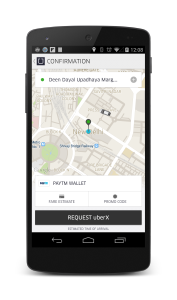 If you already have a Paytm wallet, you may link it to your Uber account. Click on ‘Payment’ to find your wallet. Then click on ‘Add Money’. UPDATE : With a view to enable convenient payments, the minimum recharge value (and minimum balance) has been revised to Rs. 200. This will reduce the frequency of your recharges and make your Uber experience more seamless. 5. Recharge your wallet whenever you want by using your credit card, debit card or your NetBanking account. That’s it. Just open the app and request your ride. Everything else remains exactly the same. You’ll be emailed a receipt at the end of your trip with a detailed fare breakdown and the trip route taken. Your fare will be automatically debited from your e-wallet. Uber is delivering more choice and convenience to people in 45 countries and 200+ cities all over the world. With Uber, you’ll never have to hear “chhutta nahi hain” again.